Home Jellybean Redux with Di Stephens, the first intensivist in the Northern Territory. Darwin. Survival of the fittest. Not just the fittest patients but the fittest doctors too. It is a Jellybean Redux with Di Stephens, the first intensivist in the Northern Territory. To celebrate the cooperation between the Jellybean and the Intensive Care Network we are looking back on some of the best ICU Jellybeans from yesteryear. Vintage Jellybeans. Get your decanter out and have a listen. The straight talking Di Stevens from the very interesting Darwin ICU gets straight to the F Word. Feminism and Intensive Care. Women and Intensive Care. It’s not something we are afraid of here on the Jellybean Podcast. 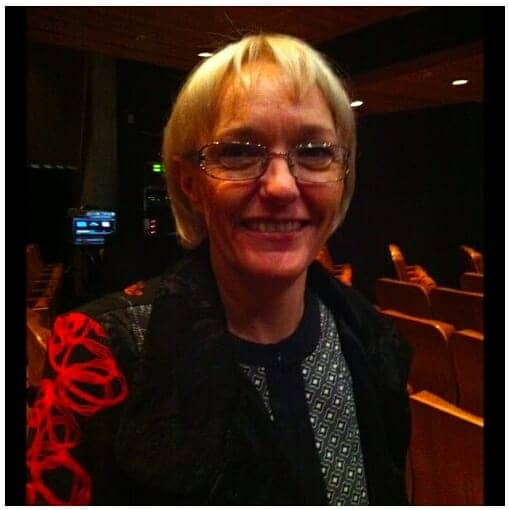 Di was asked to talk at the CICM ASM in Wellington about women in ICU. Di got up on stage and danced to “Sisters are doin’ it for themselves” in front of a crowd of predominantly male intensivists. “Guts” were not lacking. Neither were ovaries. Her talk was more wide ranging than the title suggested, covering more than ‘just’ half of humanity. The greatest controversy however came from an unexpected source. During her talk she questioned the future of “Dual-Trainees” in ICU which got the Social Media world rather excited. Upset really. As is often the case that little twitter storm was a little bit misplaced. Di and I got together and went over that and other controversies in a great JellyBean that could have gone on for hours touching on Retrieval Medicine, Indigenous Healthcare, Remote Area Intensive Care, Tele-Health and Intensive Care. It’s on. For the next two podcasts here on ICN we hear from two dual trained Intensivists to present another side of the story; Steven Warrilow (Physician/ICU) and Anthony Tzannes (Emergency/ICU). The Jellybean Podcast is funny kind of #FOAMed thing, more about the stuff in between than the stuff that gets you through an exam. There are loads of great podcasts out there that you probably know. But there are loads of great podcasts out there that you don’t know and, hard as it may be to believe, that I do not know either. ICU Pecha Kucha Night 25th Oct SydneyEpidemiology of patients with poor prognosis at ICU admission – prevalence, outcomes and resource use.